Perfect for walking, cycling and salmon fishing, this quiet southwest corner of Scotland has lots to offer; from wild moorland to ancient castles, stunning lochs and forests and empty beaches. 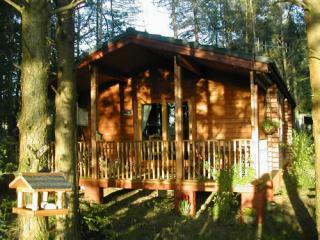 Spacious and contemporary lodge style holiday home. One double with ensuite shower and one twin. Shower. Open plan lounge/kitchen/dining area with doors leading to verandah with garden furniture and outdoor hot tub. . Mouswald Lodge Park is part of our exclusive Bouja Luxury Boutique Breaks Collection, beautifully situated in the well-established grounds of Mouswald Place Mansion House. Gifted by Robert the Bruce to the Carruthers family – the ruin of their 14th-century home is a feature of the park – the lands of Mouswald boast mature trees and landscaped gardens commanding magnificent views over idyllic Borders countryside to the hills beyond. Luxury living meets boutique chic in these stunning contemporary homes, with each carefully designed open-plan interior completed by clever home-from-home touches. Verandahs with sumptuous hot tubs offer the ultimate way to end the day soaking up those famous Galloway sunsets. A heady blend of lochs, castles, rocky coastline and sandy beaches, this glorious area rewards its visitors with scenic delights at every turn, while Dumfries, 5 miles away, hosts restaurants, museums, cinema, outdoor activity centres and an ice rink. Galloway Forest, Gretna Green and Carlisle are all easily accessible. Golf, riding, fishing and nature reserves abound.. Mouswald Lodge Park is part of our exclusive Bouja Luxury Boutique Breaks Collection, beautifully situated in the well-established grounds of Mouswald Place Mansion House. Gifted by Robert the Bruce to the Carruthers family – the ruin of their 14th-century home is a feature of the park – the lands of Mouswald boast mature trees and landscaped gardens commanding magnificent views over idyllic Borders countryside to the hills beyond. A heady blend of lochs, castles, rocky coastline and sandy beaches, this glorious area rewards its visitors with scenic delights at every turn, while Dumfries, 5 miles away, hosts restaurants, museums, cinema, outdoor activity centres and an ice rink. Galloway Forest, Gretna Green and Carlisle are all easily accessible. Golf, riding, fishing and nature reserves abound. Cosy holiday home inspired by nature, with one master double. Bathroom. 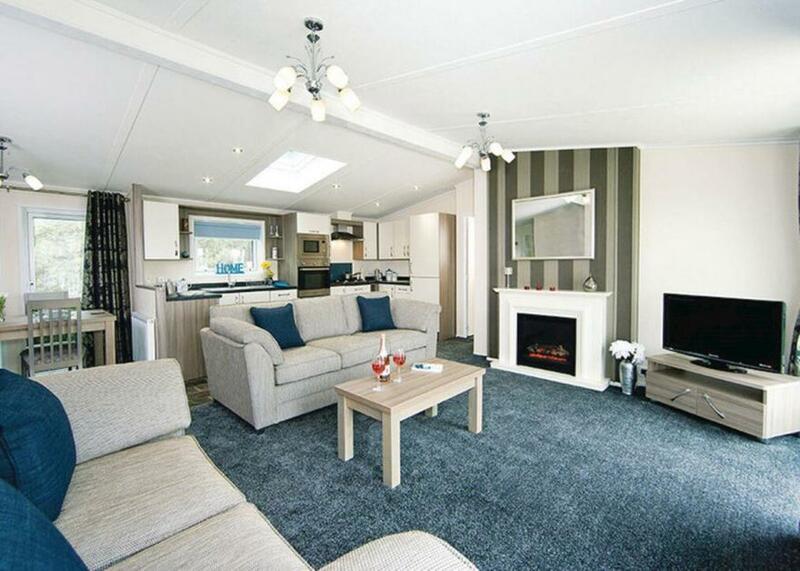 Open plan living/dining area with doors leading to decking area with quality garden furniture and outdoor hot tub. . Westlands Country Park is part of our Wanderwood Lodge Holidays Collection, providing the perfect country retreat in the Borders of Scotland. 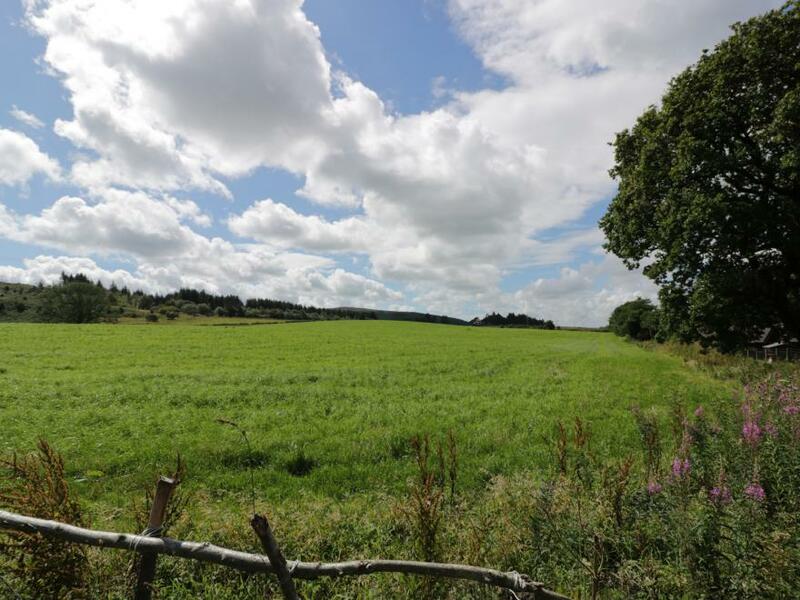 With lodges nestled in the woodland, some with waterside views, Westlands Country Park is the perfect spot for exploring Dumfries & Galloway and is close to the market town of Annan. The park has an enviable reputation for its clay pigeon shooting and is a world standard venue. Using only competition level equipment the shoot is a favourite for established professionals and new shooters alike. Add to this the tranquillity of the newly opened and well stocked fly-fishing lakes and you create the quintessential Scottish countryside break. For those who prefer to do less not more then simply pull on your walking boots and take a stroll around this beautiful countryside location and if that sounds too strenuous then do even less in your lakeside swim spa (Mulberry Lodge) or hot tub and simply let the others take the strain.. Westlands Country Park is part of our Wanderwood Lodge Holidays Collection, providing the perfect country retreat in the Borders of Scotland. With lodges nestled in the woodland, some with waterside views, Westlands Country Park is the perfect spot for exploring Dumfries & Galloway and is close to the market town of Annan. The park has an enviable reputation for its clay pigeon shooting and is a world standard venue. Using only competition level equipment the shoot is a favourite for established professionals and new shooters alike. Add to this the tranquillity of the newly opened and well stocked fly-fishing lakes and you create the quintessential Scottish countryside break. For those who prefer to do less not more then simply pull on your walking boots and take a stroll around this beautiful countryside location and if that sounds too strenuous then do even less in your lakeside swim spa (Mulberry Lodge) or hot tub and simply let the others take the strain. Cosy holiday home inspired by nature, with one master double and one twin. Bathroom. Open plan living/dining area with doors leading to decking area with quality garden furniture and outdoor hot tub. . Westlands Country Park is part of our Wanderwood Lodge Holidays Collection, providing the perfect country retreat in the Borders of Scotland. 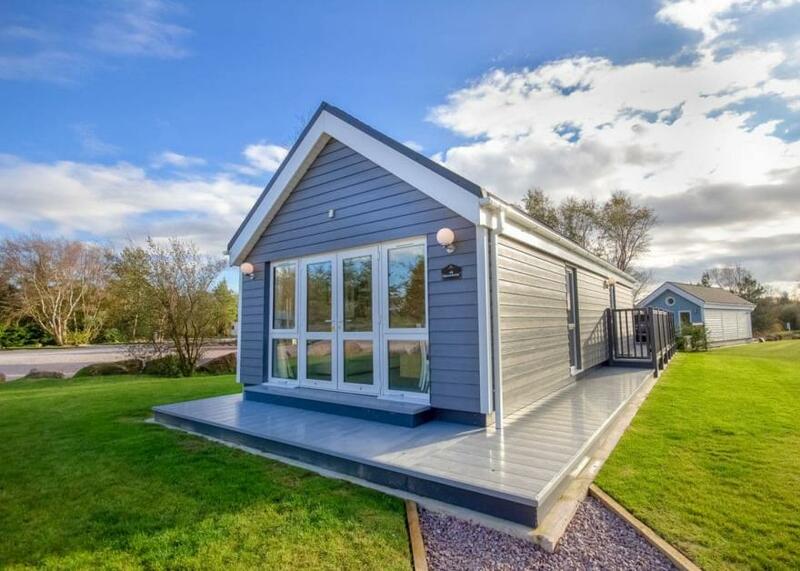 With lodges nestled in the woodland, some with waterside views, Westlands Country Park is the perfect spot for exploring Dumfries & Galloway and is close to the market town of Annan. Traditional country style A-frame lodge. One master double with shower and flat screen TV and one twin (can be linked to form double on request) with flat screen TV. Bath and separate shower. Stylish open plan lounge/kitchen area with fully glazed patio doors leading to spacious decking with countryside views. 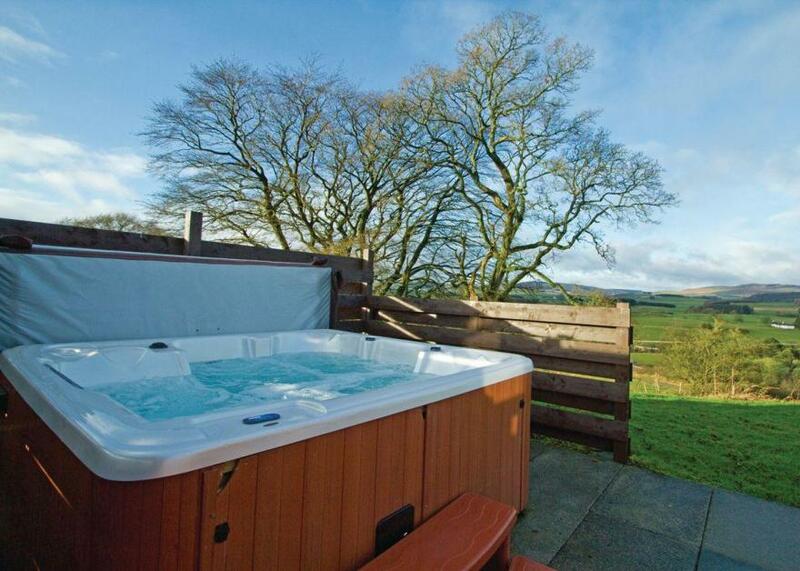 Outdoor hot tub. . Nunland Hillside Lodges is part of our Autograph Lodge Holidays Collection, nestling enviably on a hillside commanding views over the foothills and forests of Dumfries and Galloway. Tucked away in peace and seclusion, this is the perfect retreat for escaping it all in the enchanting wilderness of Southwest Scotland. A beautiful patchwork of rugged coast, sandy beaches and serene lochs, this magical Scottish area also plays host to a wealth of fine pubs and restaurants, and many picturesque villages and hamlets. Alternatively, after a hard day’s relaxing, simply sit back in the luxury of your own hot tub and soak up the breathtaking views.. Nunland Hillside Lodges is part of our Autograph Lodge Holidays Collection, nestling enviably on a hillside commanding views over the foothills and forests of Dumfries and Galloway. Tucked away in peace and seclusion, this is the perfect retreat for escaping it all in the enchanting wilderness of Southwest Scotland. Farm shop deliveries*. All facilities available for all dates. *Charges apply. Cherry Lodge is a log cabin set near Dumfries in Scotland. It has two bedrooms comprising of a double and a twin room as well as a family bathroom, it can sleep four people. It also has a kitchen diner and a sitting room with an open fire. Outside you can find ample off road parking and a covered decking with table and chairs. Cherry Lodge is an excellent stay in a great remote location. We have made the lodge a comfortable, "home from home" for guests to enjoy. Our small woodland is rich in bird life. The detached log cabin, which will comfortably accommodate 6 people, is 3 miles from Lochinvar and St. John's Town of Dalry and within easy reach of market towns and Solway Coast beaches. 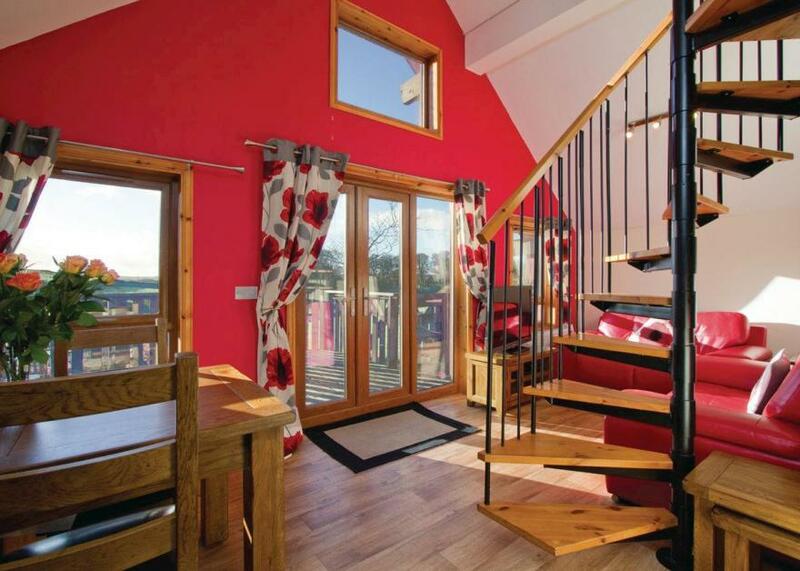 The cabin accommodation is available to rent for periods upwards of 3 nights. Heating is by electricity and/or the wood burning stove (all fuel provided). There is carpeting throughout apart from the tiled bathroom and en suite shower room. The lodge has a private, spring water supply providing pure, clear water with an ultra-violet purification system to guarantee that there will be no fluctations in quality. The kitchen has solid wood flooring, modern units, gas hob and electric oven, combination microwave and washer dryer. There is also an exceptional variety of kitchen equipment supplied.. The living room has digital TV and DVD. New in 2018. 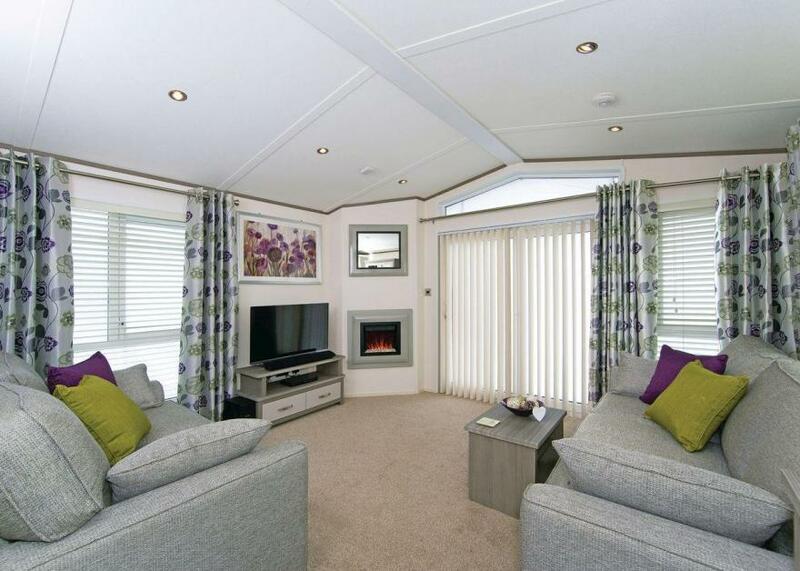 Contemporary and spacious lodge set in an elevated position with one master king size double with flat screen TV and ensuite freestanding bath and shower and one twin (can be linked to form double on request) with flat screen TV. Shower. Stylish and spacious open plan lounge/kitchen. Washer/dryer. 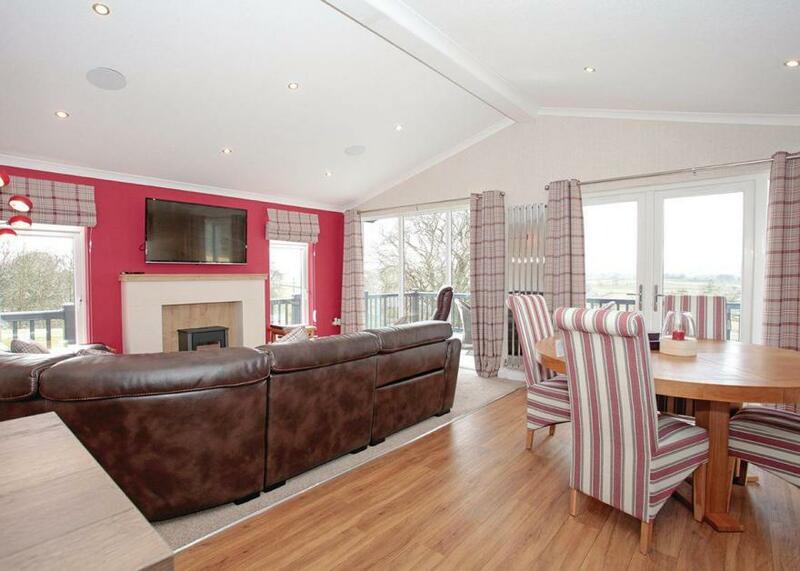 Fully glazed patio doors leading to spacious decking with spectacular hilltop views. Outdoor hot tub. No pets.. Nunland Hillside Lodges is part of our Autograph Lodge Holidays Collection, nestling enviably on a hillside commanding views over the foothills and forests of Dumfries and Galloway. Tucked away in peace and seclusion, this is the perfect retreat for escaping it all in the enchanting wilderness of Southwest Scotland. Contemporary and spacious lodge set in an elevated position with one master king size bed with ensuite shower, flat screen TV and DVD. 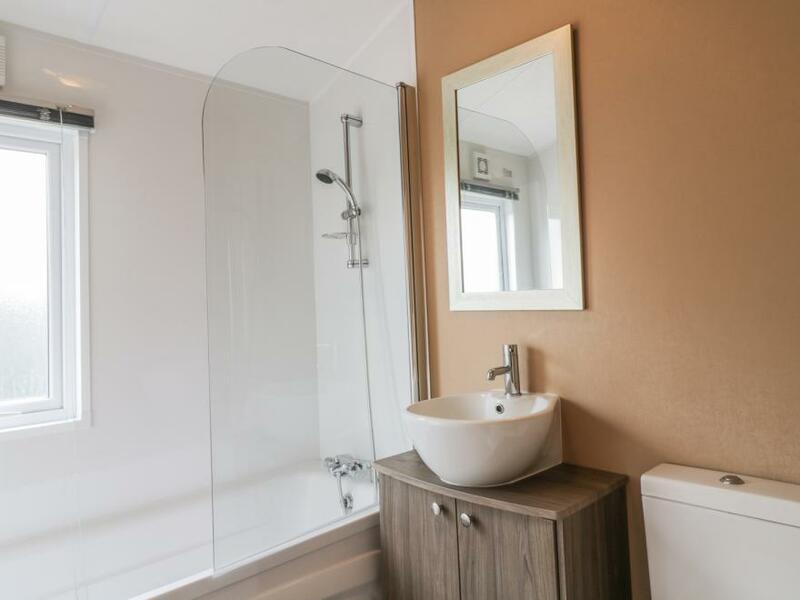 One twin (can be linked to form double on request) with flat screen TV and DVD, connected to main bathroom with roll top bath and separate shower. Stylish and spacious open plan modern lounge/kitchen and dining area. American style fridge/freezer, range cooker, wine cooler, coffee machine with starter pack and washer/dryer. Living room features a 50" TV, Bluetooth surround sound, wrap around sofa and recliner chair. Fully glazed patio doors leading to spacious decking with spectacular hilltop views down the valley. Outdoor hot tub. Sauna. Bathrobes and slippers provided. 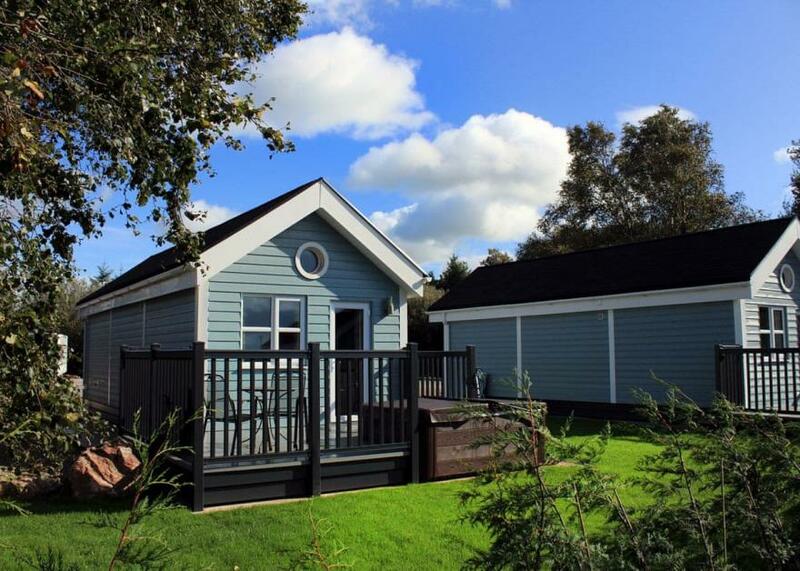 No pets.. Nunland Hillside Lodges is part of our Autograph Lodge Holidays Collection, nestling enviably on a hillside commanding views over the foothills and forests of Dumfries and Galloway. Tucked away in peace and seclusion, this is the perfect retreat for escaping it all in the enchanting wilderness of Southwest Scotland. New in 2017. Deluxe lodge style holiday home with one double with ensuite bath and one twin with ensuite shower situated either end of the central open plan living/kitchen/dining area with doors leading to decking with outdoor furniture, barbecue and outdoor hot tub.. Mouswald Lodge Park is part of our exclusive Bouja Luxury Boutique Breaks Collection, beautifully situated in the well-established grounds of Mouswald Place Mansion House. Gifted by Robert the Bruce to the Carruthers family – the ruin of their 14th-century home is a feature of the park – the lands of Mouswald boast mature trees and landscaped gardens commanding magnificent views over idyllic Borders countryside to the hills beyond.